Whether you’re hosting a laid-back gathering or a formal or corporate event, we have the flexibility and a space for your special occasion. Dove & Olive, a winner of Time Out’s ‘Pub of the Year’ award, has several function rooms available, with both indoor and outdoor with spaces to suit your requirements. Our function venue menu enables you to have an event catered with some of the best pub food Sydney has to offer. Our menus offer a wide range of delicious options including canapés and all your favourite pub classics. Alternatively, if you want a formal sit down meal, we can customize a degustation menu to satisfy your taste buds. Dove & Olive’s function rooms have all the ingredients you need for a celebration to remember. All of our function rooms have a large flat screen television, which you are welcome to use for presentations, slideshows or just to watch the game. Feel free to bring in a digital playlist so you can mingle with your own sweet beats. Our venue also has cordless microphones available upon request. The Lounge Bar features stained glass windows, lounges, a fireplace, as well as a banquette and bar seating. The room can be easily rearranged depending on the kind of party you want to have. In addition to a great range of classic cocktails, you and your guests will also be able to savour some of the best craft beers, and local and imported wines that Sydney has to offer. This is one of Surry Hills’ best stocked function venues with a well curated wine list that ranges from your humble Australian wines to seductive imported drops. However, craft beer is what we’re really passionate about, with a plethora of varieties in both tap and bottled form, we have a beer that speaks to the heart of every hops loving punter. 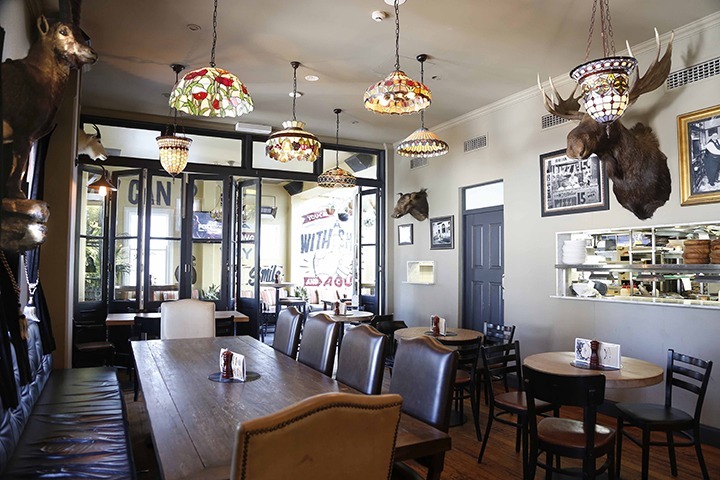 Dove and Olive’s party and function rooms for hire will make your party or function a celebration for the ages. 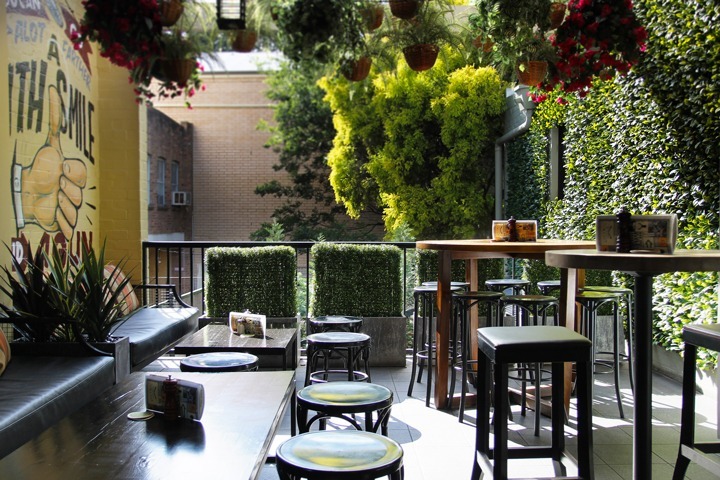 A dynamic outdoor functions area that makes the most of our leafy Surry Hills location. With its own heating and fully enclosed roof, The Terrace is furnished with an eclectic mishmash of casual lounges and high tables. This makes it ideal for mingling and schmoozing all year round, regardless of the weather. The balcony is perfect for canapé and cocktail style events, smaller parties or casual gatherings. To accommodate larger bookings, you can choose to combine the rooms through the magic of bi-fold doors. You also have the option of bringing along your digital playlist of tunes to set the mood. Suitable for larger functions, The Parlour features a flexible table configuration that is ideal for a sit down gathering of guests. It evokes a vibe of casual sophistication and even includes a ‘Chef’s Table’ which seats 10 and is available for table bookings or hire as a private room booking. When you book the parlour for a function or party in Surry Hills, you are also given exclusive access to our balcony area for an elegant mix of indoor and outdoor seating options. When you book both The Terrace and The Parlour, our newly installed mobile bar can be used as an optional extra. This is your own private bar, complete with a bar tender, two draught beers on tap and wines. When thinking about functions at the Dove & Olive, don’t just think about birthday parties, reunions and engagement parties. We’re also a great venue to hold your corporate event, whether is a small gathering of 20 sales people to an end of year party, to a 150 person corporate event. We are the perfect location being only 3 blocks from Central with easy access to trains and busses. A spacious area for large functions or parties in Sydney. Create the ultimate celebratory space with an exclusive top floor booking that combines all three function spaces; The Lounge Bar, The Parlour and The Terrace. When put together, our function rooms create the ideal social space, with plenty of room to move, places to sit and an eclectic retro vibe running throughout. Call us on (02) 9699 6001 or email us at functions@doveandolive.com.au and we will be happy to discuss your requirements and help you choose the ideal space for your party or event. We have the experience and expertise to provide great service and planning to ensure your evening goes off without a hitch.